100 DAY CHALLENGE UPDATE. Delighted to announce that we have now totalled up the 100 day challenge income from across the globe. We had folks in Canada, USA, UK all work in many different ways to bring in just over £30,000. ($45,000USD). Its a quite remarkable amount to have raised and its all matched funding for which we are so so grateful. Thanks to all that contributed. 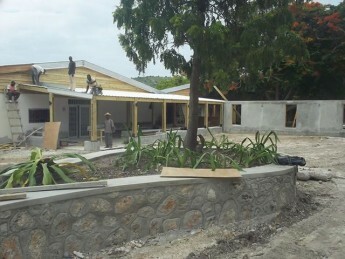 We are getting so close to our goal of seeing this new hospital open in Haiti. We are working towards the balance of the import tax due on the hospital solar system which now stands at $15,000USD. If you can help share this on your post, or even consider a donation we would be extremely grateful.